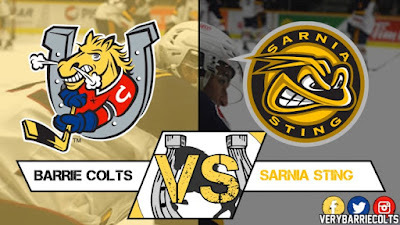 Video highlights from Barrie Colts 7-2 Loss to Sarnia Sting. #OHL - Very Barrie Colts | A website covering the Barrie Colts of the OHL. 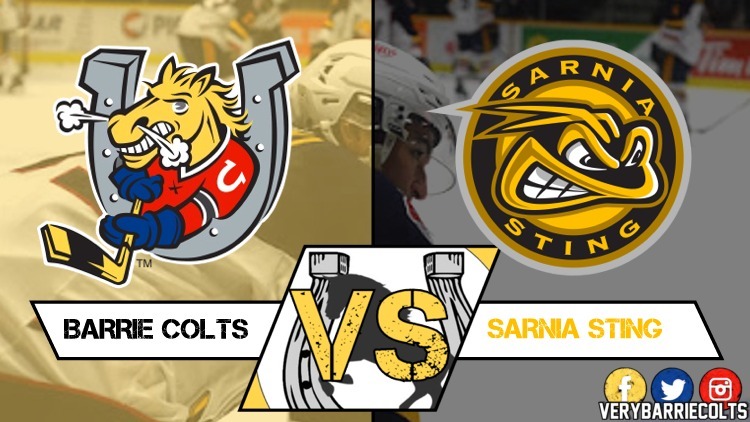 Last night the Barrie Colts lost 7-2 to the Sarnia Sting. The game was the first of a three-in-three that will see them in London tonight and back home tomorrow. The team kept it close until Sarnia ran away with the game in the 3rd period. Barrie got some good looks with the man-advantage but couldn't score on the power-play. Here is a look at the video highlights from the game. Here are the 3 stars of the game. Kai Edmonds made 23 saves. The Colts next game is tonight VS London Knights in London.